For over a decade I have been called upon by friends, family and strangers alike to perform spiritual, pagan and other types of ritual celebration. 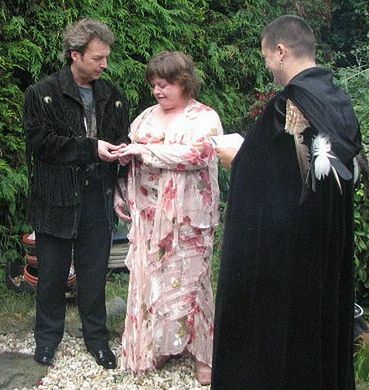 This predominantly involves holding celebratory Handfastings (pagan* weddings) as well as the following ceremonies. Coming of age, name change, dedications, initiations, collarings, rites of passage etc (see testimonials). Because of my eclectic, more nature-based as well as fundamental spiritual beliefs I have successfully handfasted couples who are of mixed faiths, differing beliefs or religions, or where one is and one isn’t! 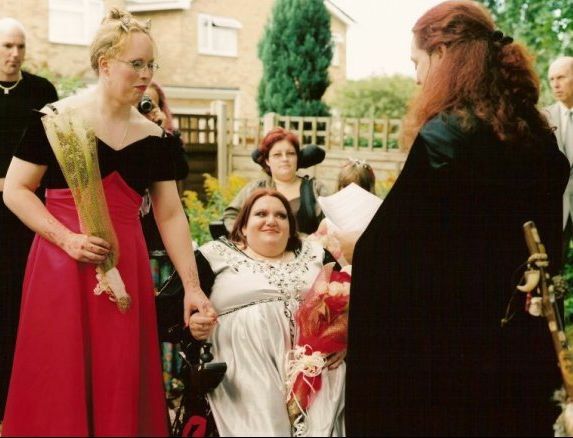 Also, having a Ds background (don’t worry if you don’t know what that is) I am very personally familiar with the practice of collaring and can incorporate or explicitly undertake that as a ceremony too. 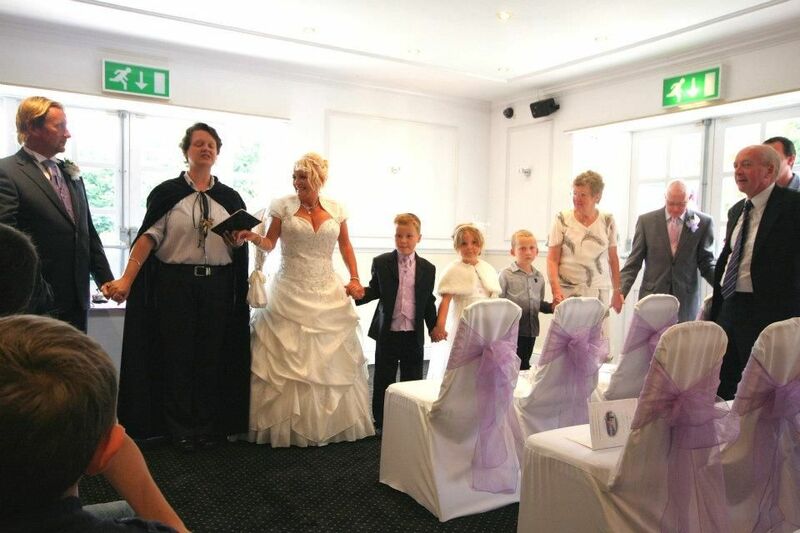 I also ensure that ALL feel welcome and comfortable, including kids and parents (even if very traditional) for a truly magical day. I am therefore more than happy to discuss your individual needs and struggles to come together with a solution for a beautiful, happy event. 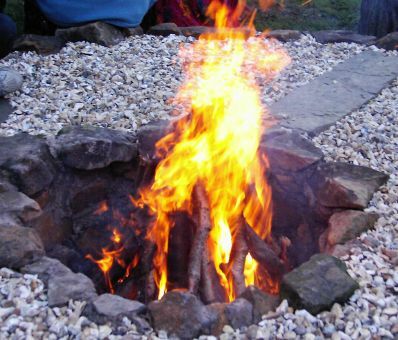 We have a hand built (by ourselves) stone circle with a stone firepit in our own reasonably large back garden (Chesterfield, Derbyshire). Naturally I travel to others for their own ‘special places’ too, whether that be home, garden, hotel or favourite place! EMAIL ME and we can start to discuss one of the most special days of your life! Payment is no more than covering my fuel costs along with a token gift of payment for my time and effort (approximately £50 – £100) and one always hopes you might decide to feed me too! *Pagan actually simply means non-mono deity i.e. anything *other* than traditional single-god religions! Therefore this can include involve gods/goddesses/nature & cycles/spirit world/great spirit/Wicca/Druid/Shaman and many more.